Sometimes, when you’re left umbrella-less and rain-jacket-less you just gotta say f*ck it and venture directly into the soak (if you’ve got some fast-drying wool clothing, it’s not the biggest deal). Luckily, with the Patagonia Alpine Houdini, that should rarely happen. It’s easy to keep with you in a day bag, or even your pocket (if you’ve got some deep ones) due to its small size when in a compressed state. Although the Houdini may miss out on some features other jackets hold dear, every decision was made to keep it as lightweight as possible. And it is; coming in at 6.8 ounces (193 grams) for a men’s medium (all men’s and women’s sizes are lightweight). Anything lighter and you’d probably be using one of those crappy recyclable tear-in-two-seconds emergency ponchos (and we all know that’s not a fun situation to catch yourself in). You can hang this from a carabiner or hook on the inside or outside of your bag when compressed. Just make sure to let this thing fully dry before stuffing it back into itself, otherwise, you’ll be left with some less than desirable smells. You know that situation when you’re walking into the wind and your hood keeps flying off? Yeah. Us too. It’s awful. There’s a handy bungee on the back of the hood that will secure this do your head. This makes it much easier to stay on in windy situations, and the bill in the front will stay in place, directing water away from your stunningly gorgeous face as the rain pours down. This jacket has a slim fit, so it may not be best to go above a thicker coat unless you go a size or two up. Your mileage may vary, so be sure to try it out with any clothing you’ll be wearing under it before purchasing. 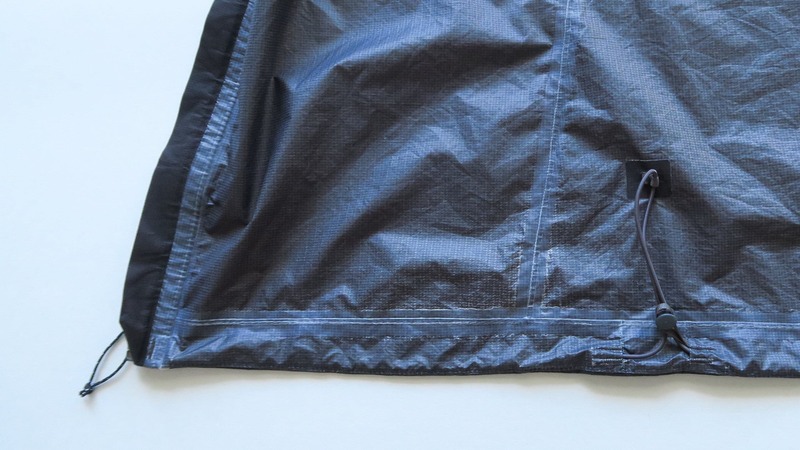 Another small, but nice detail is the zipper garage on this jacket. 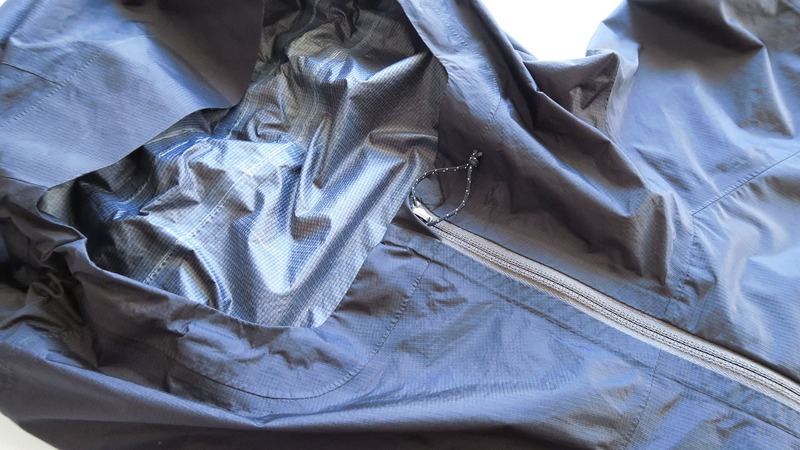 This means that when this thing is fully zipped up, your face will be pushed up to jacket fabric versus directly on the zipper. One big note here is that the are no side pockets located on this jacket. You’ve only got the chest pocket (which doubles as the stuff sack). This drives some people crazy, but others like that it keeps the weight down. This comes down to your personal preference. 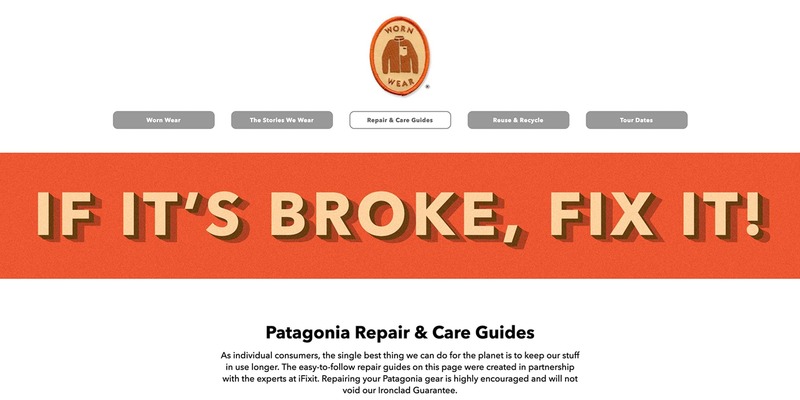 The best thing with all this is that Patagonia backs products with their Ironclad Guarantee. 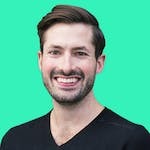 They’re pretty liberal with returns and repairs, and they’ve got a great brand outlook, discouraging waste, and will happily repair their goods at a reasonable price, no matter how old the product is. Mmm. New rain shell smell. The wrinkles persist more if you leave it compressed in itself for a long time. Not a big deal, as the rain will make the jacket less wrinkly quickly. Nothing new to note here. Still holding up great. Still kicking. Even though this isn’t an everyday item in most climates, it’s held up well when used in different environments and temperatures. 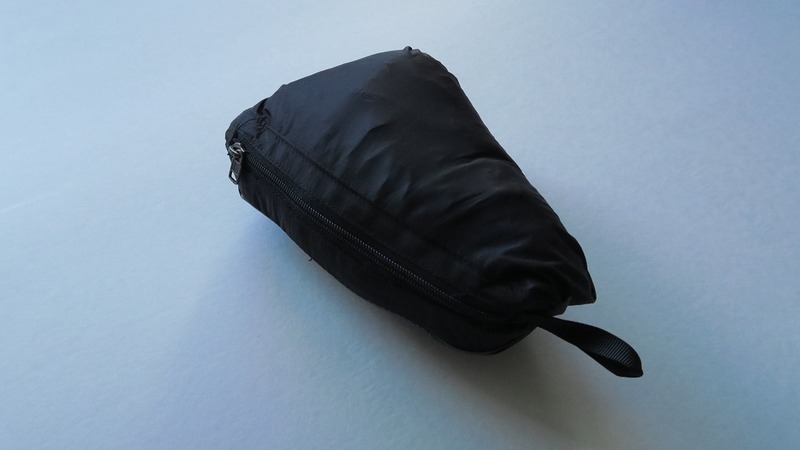 Small—compresses into it's own stuff sack. Made by Patagonia, a reputable brand. 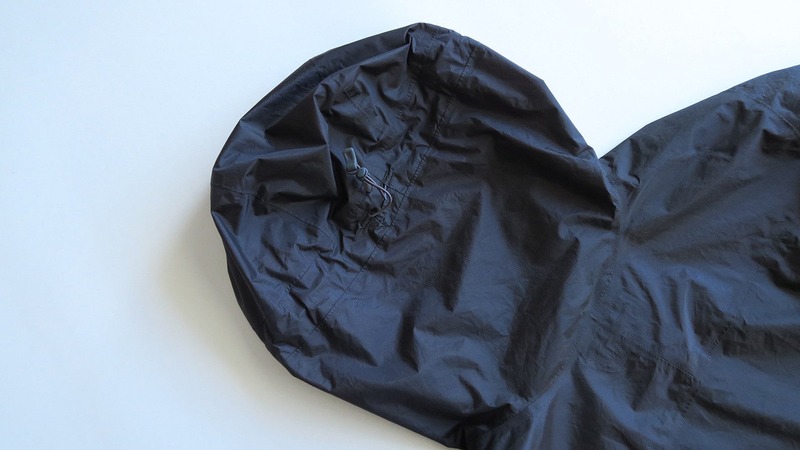 No side pockets (only the inner chest pocket that doubles as a stuff sack). Short in length - the jacket could be longer. Hood bungee mechanism takes some getting used to. 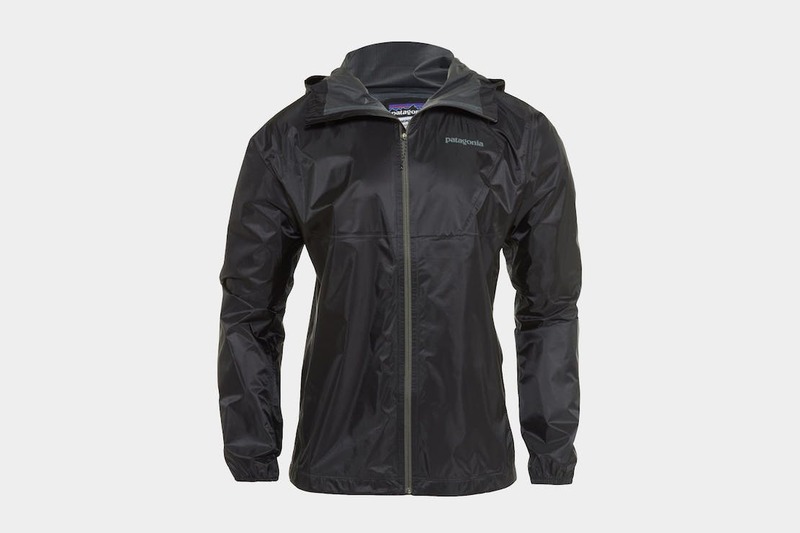 A great rain jacket for travel, or to stow away in your day bag for emergencies.